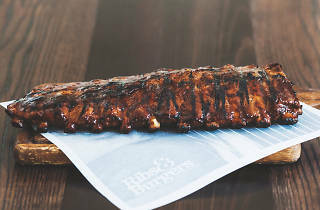 Ribs & Burgers is the casual sister to The Meat & Wine Co – the steakhouse known for its masterful cooking techniques, high quality ingredients and damn tasty meat. The Meat & Wine Co head chefs have shared their meat mastery with Ribs & Burgers, which means that when you order the ribs at the casual eatery, you'll receive a rack that has been marinated and slow-cooked for a minimum of eight hours, and finished off on the flame grill with a secret basting mix for that caramelised, sticky crust. This joint also pays equal attention to their burgers. The Angus beef patties are grain-fed and cooked medium rare to ensure maximum juiciness, whether you're biting into the simple Pocket Burger or the Aussie Burger with the lot. Can't decide between the ribs or the burger? There's no need to choose when you can order the Beef Short Rib with the signature eight-hour slow-cooked ribs and chimichurri sauce, or the Classic Steakhouse with a rib-eye steak and BBQ sauce. 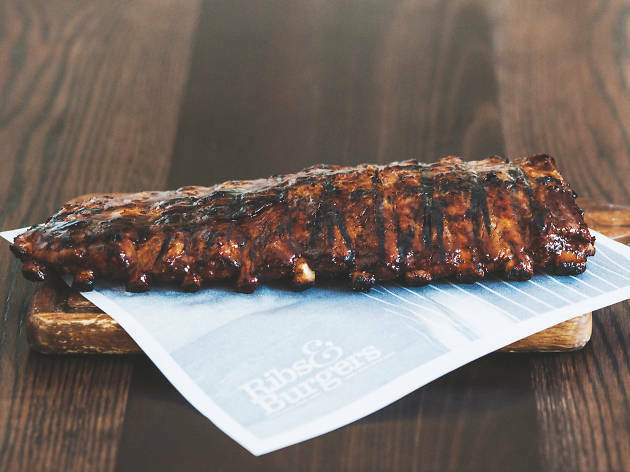 Find Ribs & Burgers in Hawthorn, Northcote, Craigieburn and South Morang.